Breaking News! 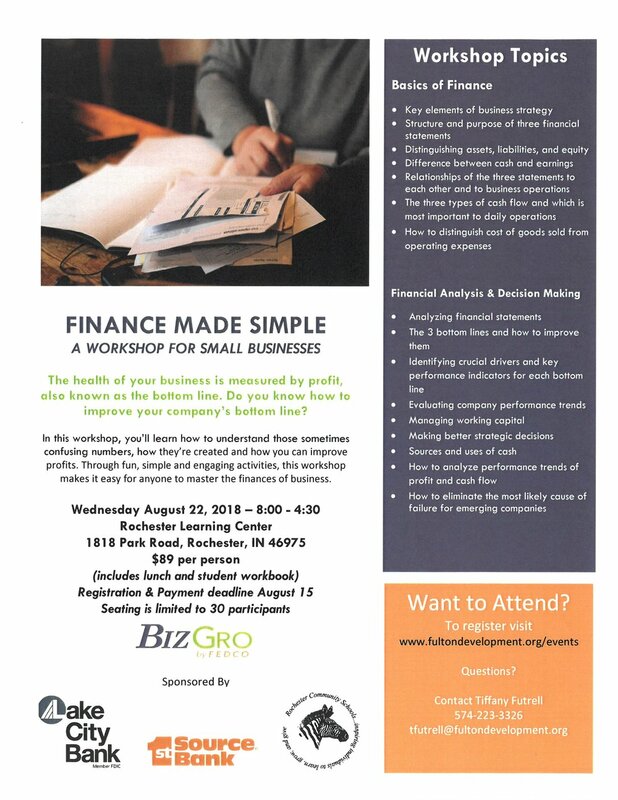 The #1 topic our business clients ask to learn about is Finances. 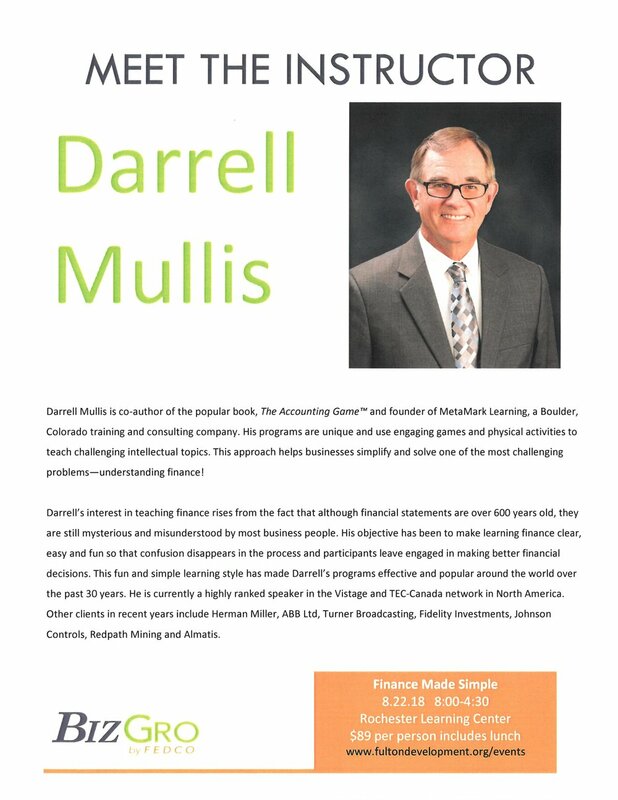 Darrell Mullis, Author of the popular book, The Accounting Game is coming to Fulton County for a one day workshop, where he'll walk small business owners through the basics of "business numbers" in a fun, hands on format. Maximum number of participants is 30, so sign up today. Don't miss this unique opportunity.